LONGPORT: black walnut - reSAWN TIMBER co.
LONGPORT by reSAWN TIMBER co. features wide plank select or character grade American Black WALNUT prefinished with matte polyurethane for flooring or wall cladding. LONGPORT by reSAWN TIMBER co. features wide plank plain sawn select or character grade American Black WALNUT prefinished with a matte polyurethane for flooring or wall cladding. 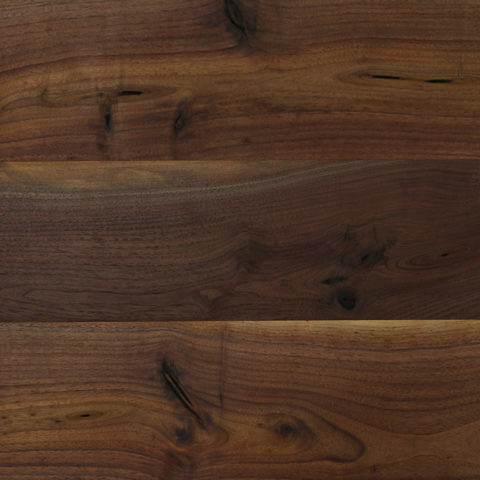 The wide face width showcases the full character and grain pattern that black walnut has to offer.